This episode is a nuts and bolts 101 freediving for spearfishing interview with Pete Ryder from howtofreedive.com. Pete is a freediving instructor based in London, U.K who has developed two online courses for people who want to learn more about freediving. The 10 metre Freediver is an entry level program available online where people can learn the core techniques to help them begin their freediving experience. The 5 minute freediver (that Turbo has recently completed) is a more advanced course for people who are interested in extending their dry breathhold to 5 minutes – this course is definitely not for people who are just starting spearfishing (we discuss a lot more about this in the show). After Turbo reached out to Pete about the courses howtofreedive.com have offered a 20% discount to all Noob Spearo listeners. You can get started for free on either course and see if you like it and if you do, use the code NOOBSPEARO to save 20%. Links and further details below. Adreno Spearfishing now have stores in Brisbane, Sydney and Melbourne and every store has experienced and helpful staff who can help you make smart decisions with your spearfishing equipment purchases. Use the code NOOBSPEARO to take advantage of an exclusive online deal. You get $20 off every purchase over $200 when you use the NOOBSPEARO discount code at checkout. Just for listeners of the Noob Spearo Podcast! Support the Noob Spearo Podcast by shopping with our major Sponsor. Check out Australia’s largest spearfishing range at Adreno Spearfishing Brisbane, Melbourne and Sydney or shop online. The episode starts with Turbo and I discussing his personal experience with howtofreedive.com. Turbo offers a caution that both courses do not deal with the unique risks associated with spearfishing and that the 5 minute freediver course is only suited for an experienced spearo. Turbo’s motivation was driven partially by being out of the water for so long, along with recovering from bad ciguatera poisoning + he had a big trip out to the Great Barrier Reef planned and wanted to make the most of it. So after watching and starting the training for free, Turbo went onto purchase the 5 minute freediver and began the 30 day dry training program. He discusses his experience in some detail along with some of the benefits that came with it. 16:00 What causes the urge to breathe? 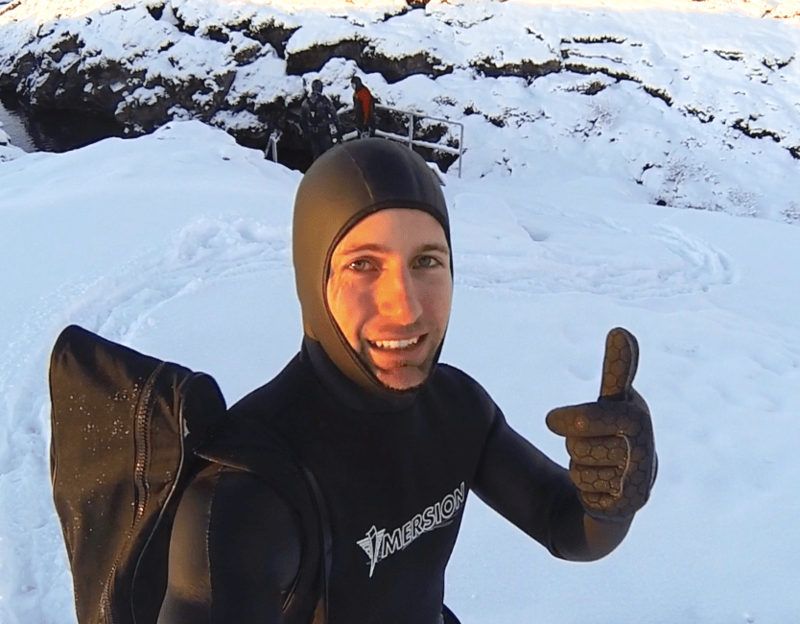 20:45 Why should spearo’s train and learn freediving? 23:45 What is the mammalian dive reflex and what does it mean for us? 26:45 What is good breathing technique? 29:00 What do the two courses cover in regards to breathing? 32:30 What are Co2 Training tables, how do you use them effectively and what are the benefits? 35:45 What are O2 Training tables, how do you use them effectively and what are the benefits? 38:45 Should these tables be used together? 39:30 What is your Vo2 Max? 41:00 Can you cover what the two courses offer in a bit more detail? 48:00 What is shallow water blackout? What is going on in the body when you blackout? What are the signs and symptoms? 51:00 What do you do in the event of a blackout? 51:45 For guys that are not going to purchase your programs what is a bit of self training they can do for spearfishing? Both Turbo and I think that the quality of Pete’s training programs is phenomenal. The 10m Freediver is an affordable option for those that are starting out and is a far better option than the default which is nothing at all for many aspiring spearo’s (Turbo and I were both young, broke and unaware of freediving courses and this is what we did). 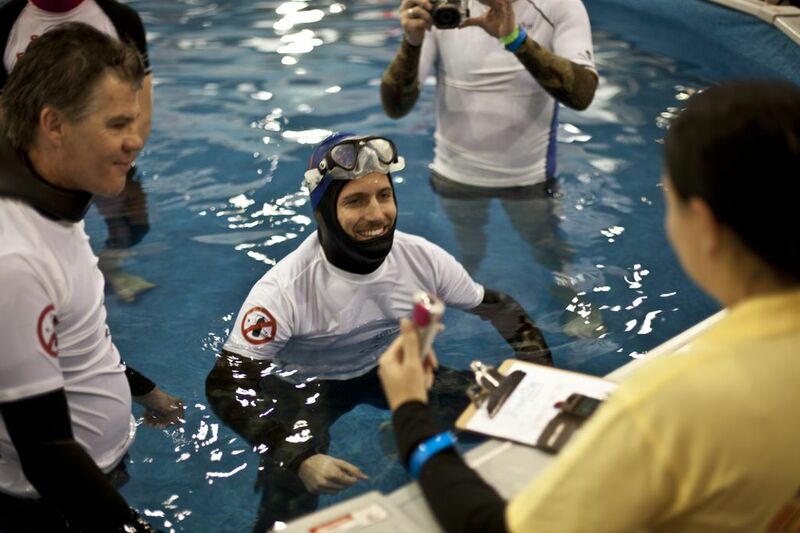 The 5 minute Freediver is an advanced dry training program for experienced freedivers and spearo’s. This course is definitely not for those just starting out. If you sign on and use the 10m Freediver the next step after would be to do a freediving course (preferably with someone with spearfishing experience) and a step up again from this would be a Freedive Spearfishing course. Two examples of these are Apnea Australia’s 2 spearfishing courses which are conducted by Simon Trippe and Andrew Harvey or if you are in the USA, FII have developed a freedive spearfishing course. The 5 minute freediver can compliment other training regimens for experienced divers. This course offers users a well thought out methodical system for getting you into optimal freediving condition. Turbo complimented his 5 minute freediver training with interval training and some targeted gym training to strengthen leg and ankle muscles for lots of finning work that he was expecting for the trip. He has several blog posts planned where he will talk in detail about his regimen and results. If you would like to read more about freedive training for spearfishing check out this post by Wayne Judge or listen to an interview about freediving safety for spearfishing listen to Andrew Quincoses from Nautilus who goes into some depth.